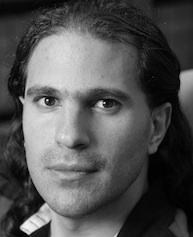 NIMA ARKANI-HAMED (2013-2019) is one of today’s most influential leaders in high-energy theoretical physics phenomenology, revolutionizing the field of particle theory over the last decade. His research focuses on the relationship between theory and experiment. He is a Professor of Natural Sciences at the Institute for Advanced Study in Princeton, New Jersey. His new groundbreaking theories relate to new extra space-time dimensions, super-symmetric extensions of the standard model, the nature of electroweak symmetry breaking and mass generation, the cosmological expansion of the Universe, and the nature of dark matter in the Universe and recently, an entirely new idea about the origin of quantum mechanics. In July, 2012, Professor Arkani-Hamed was one of the inaugural winners of the $3 million Fundamental Physics Prize, the creation of physicist and internet entrepreneur, Yuri Milner. Before that, he won a Gribov Prize from the European Physical Society and the Raymond and Beverly Sackler Prize (in Israel), and was a Sloan and Packard Fellow (in the United States) and received a Phi Beta Kappa teaching excellence award while at a professor at Harvard from 2002-2008. He was elected to the American Academy of Arts and Sciences in 2009. He was a Messenger Lecturer at Cornell in 2010. He received his PhD in Physics from University of California at Berkeley in 1997.